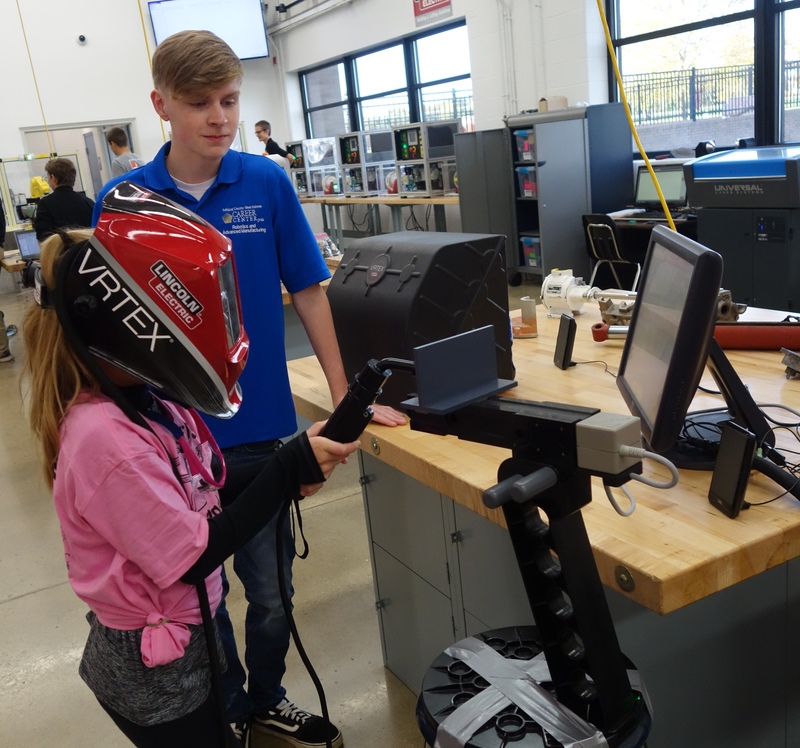 The second annual Girls with Goggles event was held on October 12th, 2018 at the Ashland County West Holmes Career Center. 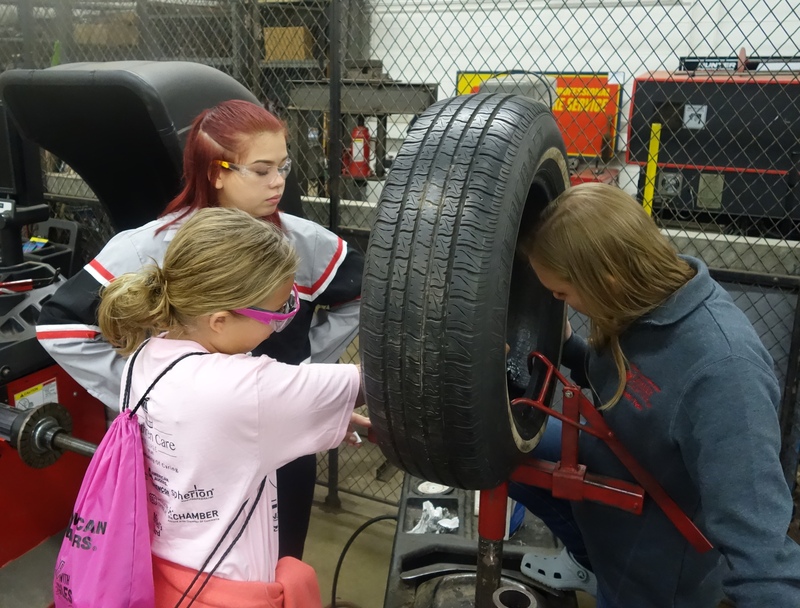 There were over 300 sixth grade girls attending along with instructors from the career center, local businesses and visitors. This program gives students the opportunity to learn more about the Trades and non-traditional careers. Animal Veterinary Science, Automotive Technology, Construction, Cosmetology, Culinary Arts, Early Childhood Education, Engineering & Design Technology, Graphic Communications, Health Technologies, Robotics & Advanced Manufacturing, and Sports Science were the career options presented. Held on Wednesday, September 26, 2018 at the Ashland University Convocation Center. The featured speaker Montez King, Executive Director, NIMS. Montez King is the Executive Director of The National Institute for Metalworking Skills (NIMS), developing national standards and competency-based credentials in manufacturing trades. Montez is responsible for overseeing the administration, programs, and strategic plan of the organization. The event will be held on Wednesday, September 26, 2018 at the Ashland University Convocation Center from 9:00 a.m. – 1:30 p.m. The featured speaker will be Montez King, Executive Director, NIMS. Montez King is the Executive Director of The National Institute for Metalworking Skills (NIMS), developing national standards and competency-based credentials in manufacturing trades. Montez is responsible for overseeing the administration, programs, and strategic plan of the organization. The event was held on October 27th, 2017 at the Ashland County West Holmes Career Center. There were over 300 sixth grade girls attending along with instructors from the career center, local businesses and visitors. The purpose of this program for the students is to learn more about non-traditional careers. Animal veterinary science, auto tech, construction, criminal justice, engineering & design technology, network & electronics technology and robotics & advanced manufacturing were the career options presented. The Women In Hard Hats program was held on March 26th, 2018 at the Ohio Department of Transportation District 3 location in Ashland. There were 13 students participating from Ashland area schools. The purpose of this program was a day long career education event that highlights women in "non-traditional" career opportunities in the workplace. I.E. truck driving, welding, construction, carpenters, iron workers and numerous O.D.O.T. positions such as highway technician, equipment trainer, safety inspectors and maintenance. The Teachers Boot Camp event was held on August 1st and 2nd, 2017 with a ceremonial dinner on August 8th. At this dinner, certificates were given to each participant along with a $250 stipend to be used in their classroom to help prepare students for the workplace. There were 15 area high school administrators and teachers along with one representative from Ashland University. The purpose of the event was to have the educational participants visit area businesses and tour their facilities and learn firsthand what businesses are looking for from a potential employee. 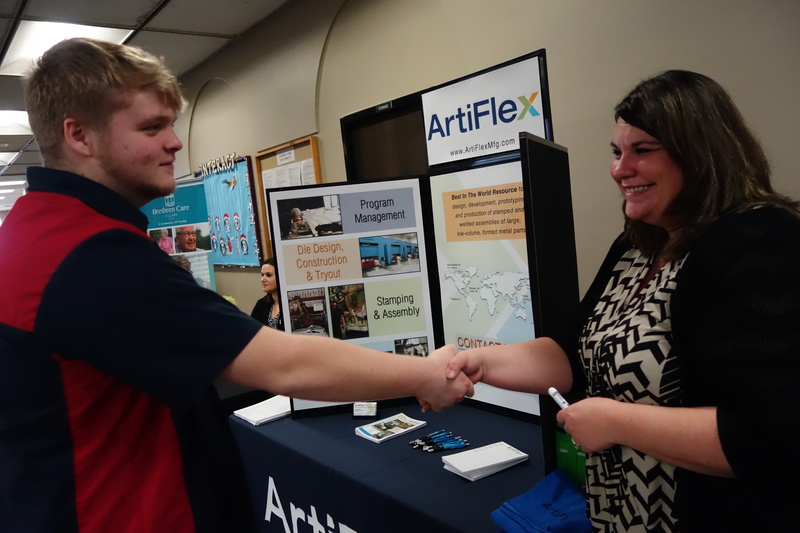 Both high school and adult education students at Ashland County-West Holmes Career Center had the opportunity to meet over sixty businesses, organizations, and staffing agencies at a Career Fair held at the Career Center on Jan. 30th. Prior to the Career Fair’s opening, exhibitors were led by students on a tour of the school and its programs. Representatives from Pomerene Hospital in Millersburg were appreciative of the tour saying, “We really enjoyed the tour and weren’t aware of everything that is offered here. It was good to meet the students, to hear their dreams, and to let them know what types of positions are available." The event was sponsored by Ashland County-West Holmes Career Center and the North Central Workforce Alliance and coordinated by Adrea Tennent, Human Resource Development Coordinator for ACWHCC’s Adult Education.